Re-branding is a serious and risky proposition with the sober possibility of killing your brand overall or reaping a big pay off. In this article I will discuss why and how I went about re-branding. For the past year or so I have wanted to re-brand and re-design this site for a couple of reasons. First, the design is dated and not actually mine to begin with, it is a theme from Elegant themes that I have customized, but I have wanted to make something a little more personalized and simple to reflect my design tastes. Second, I want to change the name; Web Design Business Builder may be accurate, but the URL is long and it feels sterile and not very personal or accessible. Thirdly, over time a site can start to get bloated as you add more and more “stuff” and I would like to start over with a new baseline, again something more simple and streamlined with a faster load time. Fourth and most obvious, I want the new site to be responsive instead of having a separate mobile theme. Concept oriented, less objective and sterile. Choosing a name takes time. At least for me, I have to settle on something and then let it stew for a while. Will I still like this name tomorrow? What about next week or in a year? Most names I ruled out by the next day and some within a week. 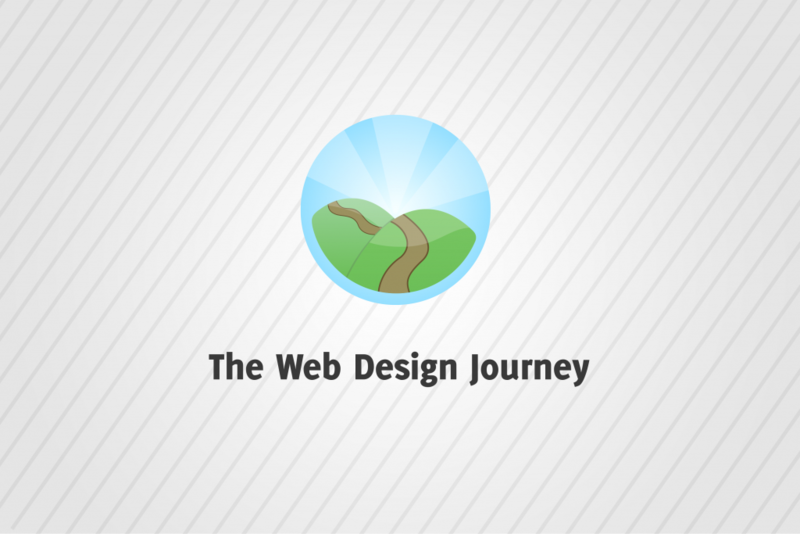 Finally I settled on Web Design Journey, obviously it is shorter and it still includes the words web design, which is good. The word Journey conveys the more abstract concept of adventure. It feels more exciting, fun and mysterious than “Business Builder.” It also gave me a wider range of logo concepts to work with. “Business Builder” was very limiting, which is why I never created a real logo for it. With “Journey” I experimented with maps, a path going up into the hills, nautical tools, and more, but I finally settled on a compass. I know, not incredibly original, but I think it looks good. My kids really helped a lot in this process. They loved sitting next to me to watch me experiment with different logo ideas in Photoshop and Illustrator. I was actually impressed with their design taste. Several times I went down a bad path and one of them called it before I realized it myself. I would have to come back to them later and say “you were right, I was…. less right”. I am not a speedy designer, for me, creating a logo takes a lot of time. To get a jump start on the process I even tried two different Fiverr gigs to see if I would get lucky with something awesome. As you may have guessed, no I did not get lucky with an awesome $5 logo. I got one completely crap logo, that looks like they spent less than $5 worth of time on it, and another that was decent, but it turned out the concept I gave him was bad. So one logo died from poor execution and the other from my own bad vision. I also spent a lot of time redesigning the site, but I will cover that in my next blog post. Here is the original “logo” for this site. It is really more of a non-logo than a logo. This is what I threw on there until I could design something better, but then I never did. Until now. 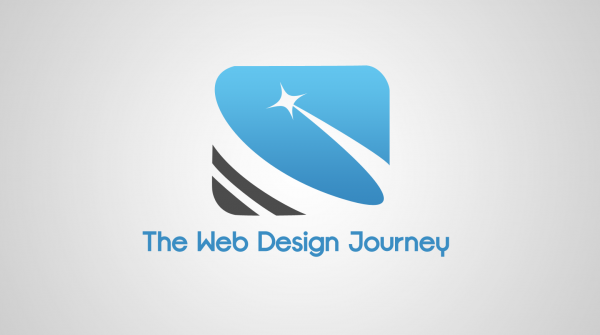 SEO Considerations For Rebranding; Why I didn’t do it all at once. Originally I planned on launching it all at the same time, the re-branding, the new URL, and the new design, but I decided to do a rolling launch over the course of about 6 weeks for several reasons. First, I have limited time to get everything set for an instant launch. This is a side project for me that I can only work on during evenings and weekends while still making time for my wife, kids and the rest of life. Implementing everything in steps will make it easier on me. Second, it gives me time to react to problems, primarily with search engine rankings. I have started to rank very high for certain search terms, such as “how to market a web design firm”, “marketing for web designers” and “how to become a web designer”. If I make the changes slowly and my rankings slip, I will know why. But if, for example, I change the URL and the site design at the same time, I won’t know which one hurt my rankings. Third, I like to follow Agile development principles of making constant small improvements with rapid releases, instead of bundling it all into one big release. This is a whole other topic in itself, but suffice it to say, Agile makes it possible for you to measure the impact and response to each enhancement you make so you can quickly respond to unexpected issues and the needs and desires of your users, or in my case readers. With Agile methodologies you can test changes and then change course quickly. Steps to re-branding and changing domains. Add new domain as a parked domain, make sure everything works with it. Change as many external links as possible. There are a lot of bad ways to do this. Here are some terrible ways to move to a new domain that I recommend you don’t do. Keep both sites up and running simultaneously. Worst yet, make them completely separate sites in different accounts on your server so that when you make an update to one you have to do the same to the other, or maybe you could just leave the old site up for ever and never touch it again. Kill the old site and put up the new site and assume everything will just go to plan. Fill the background of your old site with dancing hamsters and put a a loud midi disco file that loads automatically for him to dance to. I don’t have any clue why you would handle it this way, but I would avoid it. What you should do involves a simple update to your .htaccess file, as mentioned above. Putting several lines of code in your .htaccess file will not only instantly redirect your users to the new domain, but it will also notify search engines that you have permanently moved. This is called a 301 permanent redirect (302 is a temporary redirect). To Redirect or Rewrite? that is the question! A 301 redirect is a simple 1 to 1 mapping. It says “this page has moved to this other page,” and a search engine or a visitors browser will automatically go to the new site seamlessly. If you only have one or a handful of pages to move then this is a fine way to go. However, in my case I had an entire website to move and I didn’t want every page to get redirected to the homepage of the new domain, instead I wanted each page to get redirected to the corresponding page on the new domain. But I also didn’t want to have to write out almost 100 lines to manually redirect each page of my old site to my new site. Luckily there is a better way. The first line turns on the Apache RewriteEngine module, which is a requirement but available for most web hosts. The second line says that the rule applies at the root level. The forth line is the action or rule to actually carry out. The R=301, means that it is a 301 redirect, the L means that it is the last rule and the URL is, of course, the desired destination. You can copy/paste the 4 lines into your .htaccess file, just remember to change the two URL’s to the new domain that you want to use and remember that they should both be the same. The first instance is NOT your old URL, it is saying anything other than this domain should be changed. So that is how I re-branded this website. Following the right steps in the right order will give you the best chance at maintaining your search engine rankings as well as providing a smooth and logical user experience for your users. I am sure that there are other ways to do this, possibly much better ways, and that I missed something along the way, but hopefully sharing my experience will help you to consider something that you may have missed other wise or give you some more options to consider. I love to hear your ideas or experience with re-branding and domain changes in the comments below! Cool steps and criteria for redesigning a website at on go.